Finding the perfect travel nursing job for you means more than a chance to explore the country. Aya Healthcare travel nurse assignments offer freedom from routine and hospital politics, attractive financial packages (more money + great benefits = no brainer!) and of course, the opportunity to call places you’ve only dreamed of visiting your temporary home. We offer the widest base of travel nursing jobs in the United States. So all you need to do is let us know where you want to go. And go…and go…and go! You can book travel nursing job after travel nursing job with Aya, because new contracts open up daily. Check in frequently — the travel nursing jobs below are constantly updated. If you haven’t already done so, apply now to be matched with a recruiter who’ll keep you up-to-date with open assignments that match your interests. Browse travel nursing jobs. Choose any state below to explore your options. 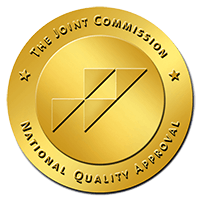 The Joint Commission's Gold Seal of Approval.